A salute to departing Green Party MP, Sue Bradford. 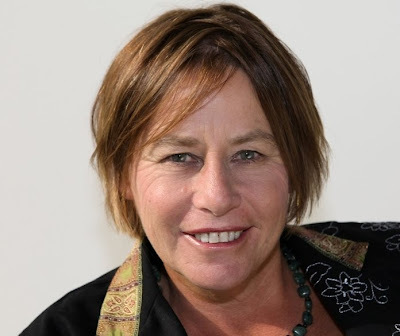 A true kiwi hero who has fought tirelessly for those less fortunate and who has achieved more as a backbencher than any other backbencher in NZ political history and all the while having to deal with an ugly talkhate radio redneck NZ who sneered at her working class accent and judged her on the most petty of standards. As the woman brave enough to stand up for the rights of children from getting assaulted by parents, she has had to deal with death threats against her and her family. Her standing down leaves the Greens bleached mainstream, more a weak lime than a militant green. A great Rimu tree has fallen in the forest. Her loss for the left will be deeply felt. Although I do not agree with all of her politics, I share your sentiment. Sue was a champion for those without voice, and will be sorely missed. Only lost to the left in a parlimentary sense. I doubt we'll see her dissappear from public sight completely and it is clear from her media interviews that her commintment to social justice is as strong as ever. "all the while having to deal with an ugly talkhate radio redneck NZ who sneered at her working class accent and judged her on the most petty of standards." Sounds like leftard posters on the standard criticizing Key for his recent appearence on Letterman. Anyone who thinks Key enhanced his own or the country's mana by that pathetic display on Letterman has such a low bar for a pass mark that a snail could jump it. "A true kiwi hero who has fought tirelessly for those less fortunate and who has achieved more as a backbencher than any other backbencher" I agree. I have followed her career for years and she has truly been an inspiration. We need more people like her in this world.